The Chinese New Year has celebrated the spirit of communities and families for thousands of years. 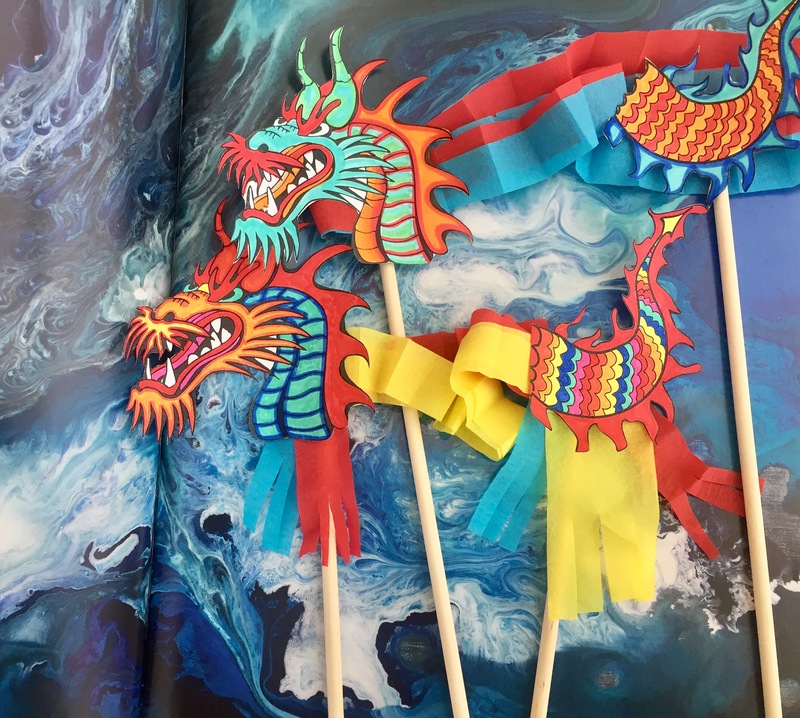 The traditions, rituals, and decorations leading up to Lunar New Year remain to this day, traveling beyond cultural borders. The McMullen Museum celebrated these long-held traditions this past Saturday, February 10, 2018. In light of contemporary Chinese artist Cao Jun’s spring exhibition, Cao Jun: Hymns to Nature, at the McMullen Museum, three cultural clubs–the Chinese Student Association, the Korean Student Association, and the Philippine Society of Boston College–came together and co-hosted a celebration of the upcoming Lunar New Year, which begins on February 16, 2018. 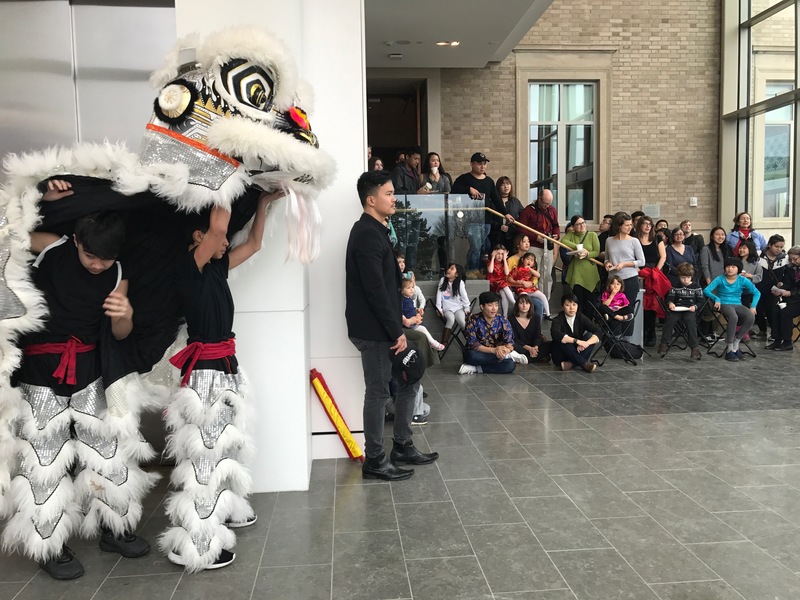 In the conference center, freshmen representatives dressed in qipao and indigo silk blouses presented the history and cultural significance of the New Year to visitors along with Chinese scallion pancakes and Korean seafood pancakes. After this presentation, guests were invited to watch a lion dance performance. The museum was buzzing with the thunderous sound of a drum and jubilant movement. 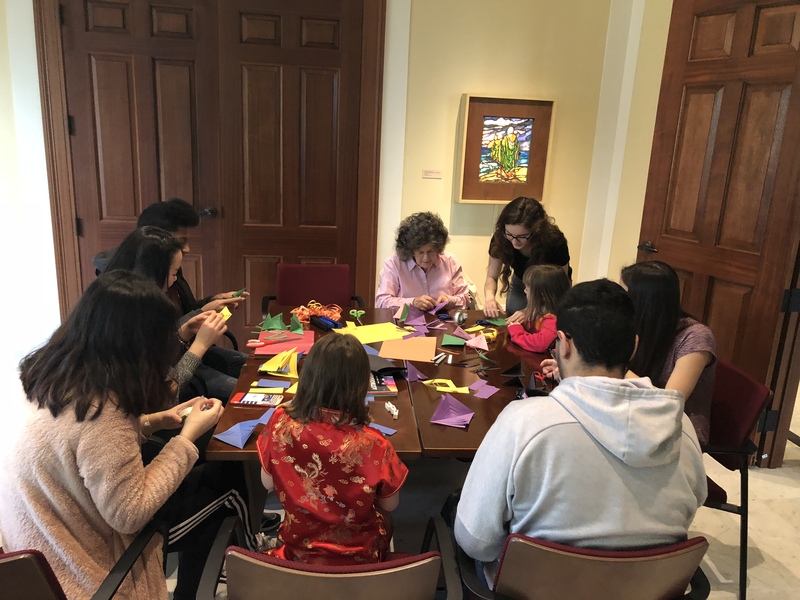 After the lion dance, guests were invited to participate in numerous arts and crafts throughout the museum, including making Chinese knots, paper-cuttings, lanterns, and dragon puppets. 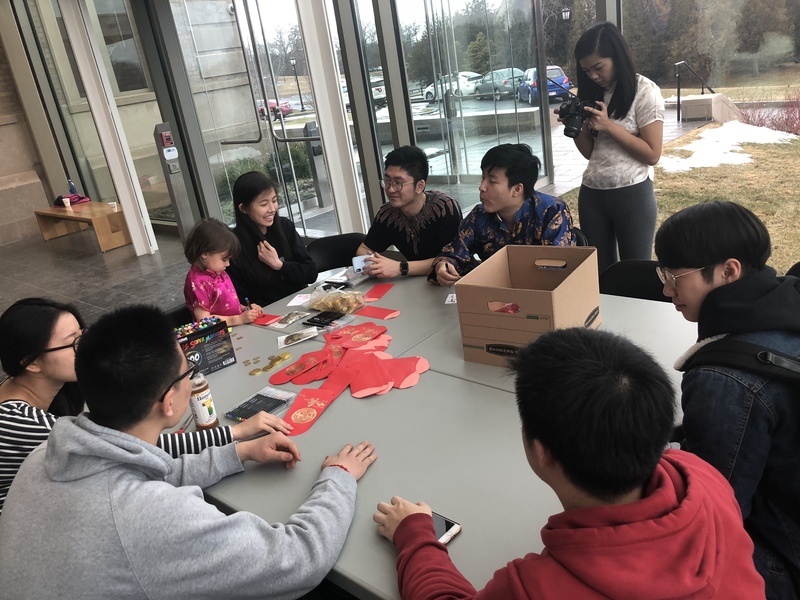 The Chinese Student Association handed out red envelopes with chocolates to children and families who came to celebrate with the museum.